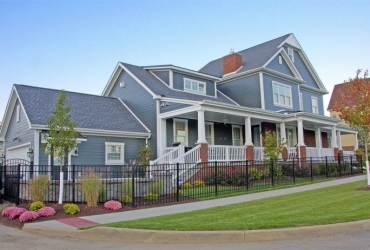 Home / Blog / Why Choose James Hardie Siding? When it comes to protecting your home’s exterior, James Hardie® siding’s proven track record of delivering outstanding, durable quality for homeowners nationwide makes the siding replacement choice easy. 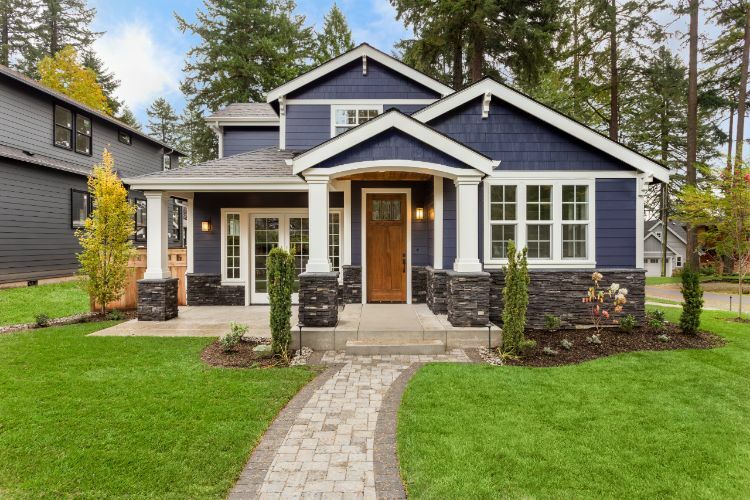 The experts in fiber cement siding products, James Hardie offers multiple styles, attractive color options, outstanding resilience, and one of the best warranties in the industry. James Hardie Products invented fiber cement siding over 30 years ago. No wonder they are the leading fiber cement company in the nation! They have invested consistently in research and development and continue to invest in product improvements. They are literally keeping homeowners happy for years to come. Fire Protection and Safety for Your Family: It’s vital to a family’s safety to have the maximum amount of protection in the makeup of their home should they have a home fire. Unlike wood or vinyl siding, James Hardie siding is resistant to flames and damaging heat, so it doesn’t contribute to fueling a fire. Many insurance companies offer a discount to homeowners with James Hardie siding because it is non-combustible. Long Lasting to Save You Time and Money: The extra benefit of James Hardie’s ColorPlus® Technology offers homeowners baked-on color that resists fading, keeping your siding looking amazing with minimal maintenance. James Hardie products are made to meet the needs your particular climate demands. It looks fabulous for years to come, saving you time and money because it doesn’t need replacing periodically like other siding options. Low Maintenance: James Hardie siding simply requires cleaning once or twice a year, and its unique ColorPlus® technology resists fading, so there’s no need to repaint it. Every 6–12 months, simply bring out your hose and rinse your new siding. Skip the temptation to power wash it with a potentially damaging high-pressure spray. A regular, low-pressure garden hose and nonmetal, soft or medium bristle brush will remove dirt and grime from your siding and trim. Not Vulnerable to Pests: Unlike wood-composite siding which birds can peck at and insects may damage, James Hardie fiber cement siding is engineered to be unappealing to pests including termites. 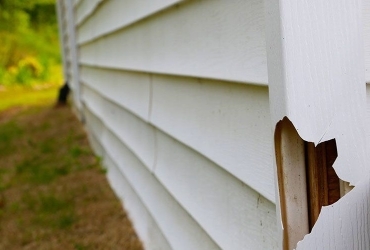 Avoid pest infestation by investing in these trusted siding products. Made Specifically for Your Climate: The James Hardie company studied the long-term effects various climates have on siding. The result of their research brought about the creation of the HardieZone® system, which ensures you get the optimal product for your specific climate. HZ5® products primarily resist wet, below-freezing weather conditions. HZ10® products primarily protect homes from heat, humidity, and the harsh effects of the sun. Enhances Curb Appeal: Increase your home’s resale value and curb appeal with beautiful James Hardie siding. Choose from the wide variety of color options and styles to make your home look its very best for you and your family. James Hardie siding is more than 5 times thicker than vinyl siding. James Hardie achieves a more authentic wood-grain look from the deeper grooves it contains due to its thickness. It looks fantastic on a historic home because it is more elegant and beautiful than vinyl. Vinyl melts quickly in a fire. James Hardie siding is non-combustible, providing better safety for you and your loved ones. Vinyl can crack and even warp from weather elements. James Hardie siding resists warping, cracking, and sagging. Wood siding is difficult to maintain, but James Hardie siding is easy to maintain, saving you time and money for years to come. Moisture can cause problems with wood siding, but James Hardie siding resists the trouble moisture and mold can bring. Wood siding can fuel a fire, but James Hardie siding is fire resistant. Wood siding can split and weaken over time, but James Hardie siding resists weather damage. James Hardie siding offers better protection than wood from below-freezing conditions as well as hot, humid weather conditions. Ready to Locate a Professional Siding Contractor? When it’s time for new siding and you are in the market for a contractor, look for a James Hardie Preferred Remodeler for expert installation that gives you years of low maintenance, exterior beauty, and worry-free protection from weather damage. 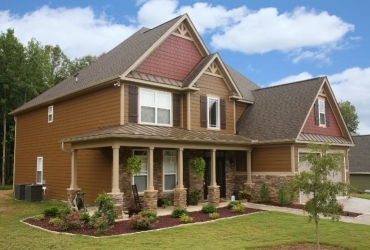 Siding King offers custom siding replacement solutions for Nashville homeowners. To learn more about James Hardie fiber cement siding, schedule a free consultation with our knowledgeable, detail-oriented staff. Call us today at 615-540-4997 to discover ideal solutions to your home’s exterior needs. And in the meantime, in the comfort of your home, learn about the ultimate siding color choices for your home exterior by using the James Hardie Color Plus® Technology tool. You’ll be amazed at the beautiful options you have to choose from! Siding King offers professional siding replacement and repair for homeowners in Nashville and surrounding areas. Request a siding installation quote today. Considering vinyl siding? Here are four things to consider first.